We have just released a new version of Midaxo Platform. The most visible one is a new analytics widget called “Task Progress”. This widget allows you to add the progress page of any project onto your analytics dashboard, so you can see multiple projects at once. 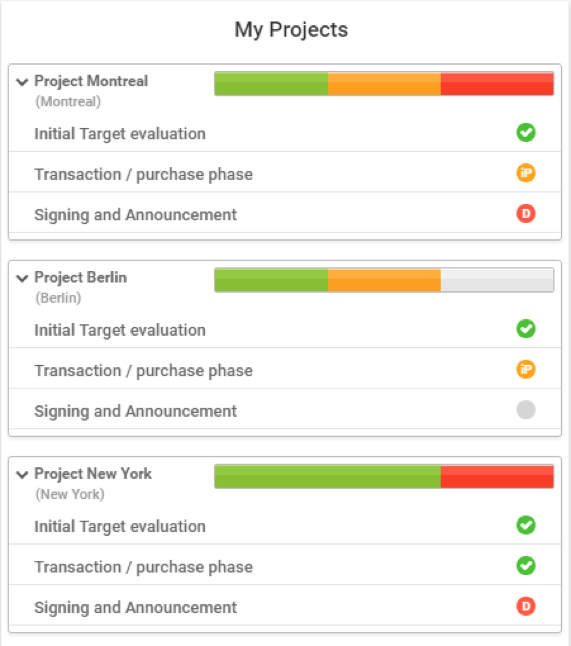 You can also select which tasks are displayed in the widget, so you can focus on the right phases of your ongoing projects. We have added two new field types for you to use in a cover page: “Checkbox” and “Multiple Choice” (aka multi-choice). The fields are also supported in the analytics dashboards, so you can use them for filtering or grouping your project statistics. In the next release, we will be focusing on improving the performance and usability of importing projects from Excel and we will make some minor tweaks and improvements to the “Task Progress” widget. We’re eager to hear your thoughts! If you want to hear more or participate in feedback sessions, contact us at feedback@midaxo.com.